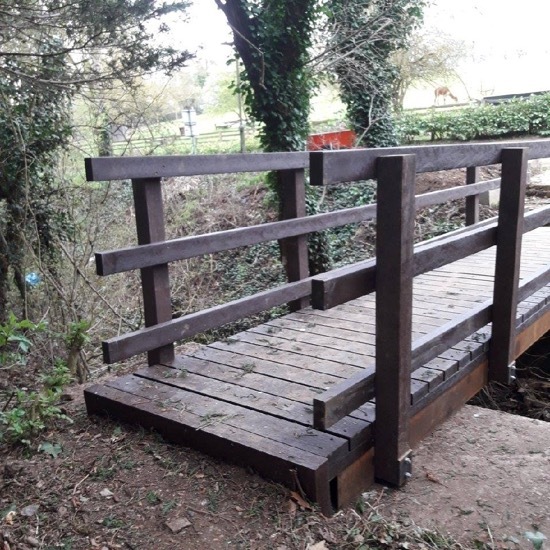 Hertfordshire’s Countryside Management team has replaced a rotten and dangerous wooden footbridge on a local public footpath which means that walkers are now able to complete a number of popular routes. 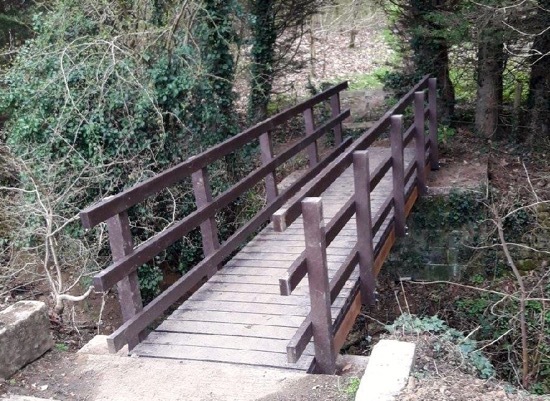 The bridge is at the east end of Essendon footpath 2 at its junction with bridleway 26. 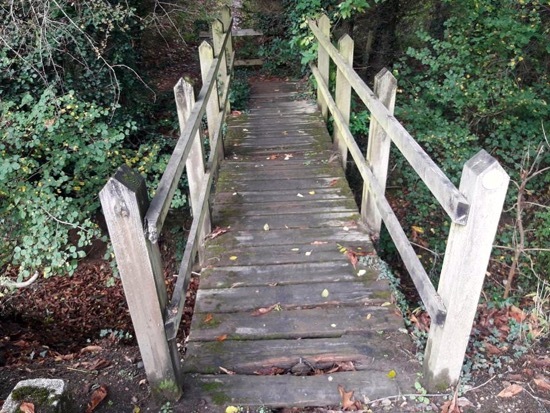 It features on two of the rambles on our walks site, Hertfordshire Walker. The bridge is mentioned at point three on Walk 53: Essendon East Loop 6.5 miles (10.5 km), and at point four on Walk 20: The Essendon Loop 3.6 miles (5.8 km). 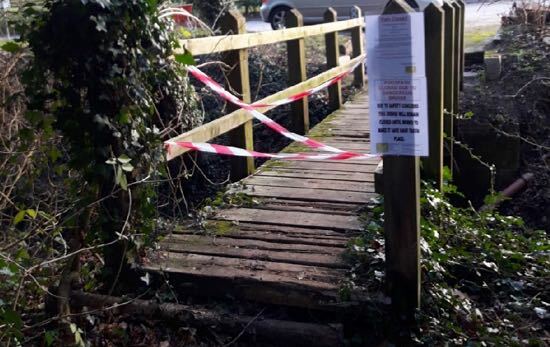 The footpath was closed in January when the council’s rights of way team the bridge decided the structure was “too dangerous to use”.